PCBs can be fixed screwlees and without tools in a very easy, quick and safe way by using our PCB fasteners. 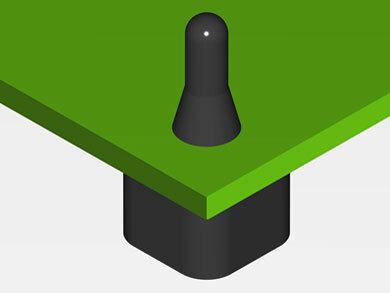 The corner elements will be fixed by fixed either by pulling the fasteners over the PCB edges. 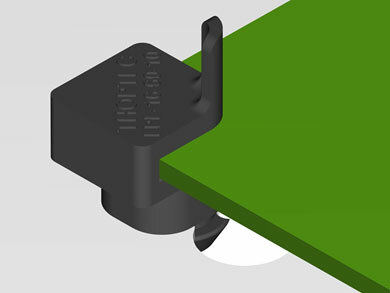 The plug-in elements will be plugged -into the drilled hole and pulled out on the backside of a printed circuit board.